Discovery 3/Range Rover Sport Front Brake DiscsGood used condition.. Discovery 3/Range Rover Sport Front Engine Metal Sump Guard KRB500122Good used conditionSome surface.. Discovery 3/Range Rover Sport Front Engine Metal S.. Discovery 3/Range Rover Sport Front Speaker XQM500500Harman Kardon front door speakerWill fit Range .. Discovery 3/Range Rover Sport Front Speaker XQM500.. 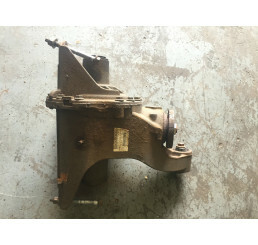 Discovery 3/Range Rover Sport Gearbox Under Tray KRB500270Good used conditionSome marks from use as .. Discovery 3/Range Rover Sport Gearbox Under Tray K.. Discovery 3/Range Rover Sport GPS Sat Nav DVD System YIB500070Good used working conditionPlease chec.. Discovery 3/Range Rover Sport GPS Sat Nav DVD Syst.. Discovery 3/Range Rover Sport Headlight Control Switch YUD501200PVJGood used working conditionPlease.. Discovery 3/Range Rover Sport Headlight Control Sw.. Discovery 3/Range Rover Sport Heater Box Flow Motor Actuator 063800-0190Good used working conditionP.. Discovery 3/Range Rover Sport Heater Box Flow Moto.. Discovery 3/Range Rover Sport Hitachi Air Suspension Compressor BoxRVC500020 and RVC500010.. Discovery 3/Range Rover Sport Hitachi Air Suspensi.. Discovery 3/Range Rover Sport Hitachi Air Suspension Pump RQQQ500016Good used working conditionHitac.. Discovery 3/Range Rover Sport Hitachi CompressorGood used working conditionHas been replaced recentl.. 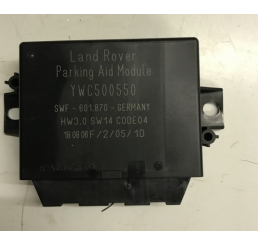 Discovery 3/Range Rover Sport Internal Fusebox YQE500420Good used working condition30 day parts warr.. Discovery 3/Range Rover Sport Internal Fusebox YQE.. 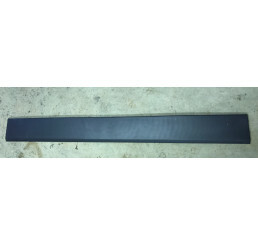 Discovery 3/Range Rover Sport Lower Tailgate Plastic Trim DGP000184Good used conditionSome marks fro.. Discovery 3/Range Rover Sport Lower Tailgate Plast.. Discovery 3/Range Rover Sport Navigation And DVD Module YIB500120Good used working conditionPlease c.. Discovery 3/Range Rover Sport Navigation And DVD M.. Discovery 3/Range Rover Sport Nearside Front Door Handle FPH500225Good used conditionOuter handle wi.. Discovery 3/Range Rover Sport Nearside Front Door .. Discovery 3/Range Rover Sport Nokia Phone Control Module XVJ500350/XVJ500420Good used working condit.. Discovery 3/Range Rover Sport Nokia Phone Control .. Discovery 3/Range Rover Sport Nokia Phone Port FHC500220PVJGood used working conditionPlease check c.. Discovery 3/Range Rover Sport Nokia Phone Port FHC.. Discovery 3/Range Rover Sport Nokia Port Module FHC500221Good used working codnitionFHC500220PVJ Hou.. Discovery 3/Range Rover Sport Nokia Port Module FH.. Discovery 3/Range Rover Sport Parking Aid Control Unit YWC500550Good used working condition30 Day pa.. Discovery 3/Range Rover Sport Parking Aid Control .. Discovery 3/Range Rover Sport Parking Sensor ECU YWC500730Good used working condition30 day parts wa.. Discovery 3/Range Rover Sport Parking Sensor ECU Y.. Discovery 3/Range Rover Sport Rear Diff TVK500112Good used working condition.. Discovery 3/Range Rover Sport Rear Door Speaker XQM500510Harman Kardon SpeakerWill fit Range Rover S.. Discovery 3/Range Rover Sport Rear Door Speaker XQ.. Discovery 3/Range Rover Sport Rear Parking Sensor Loom YMQ500782Good used working conditionPlease ch.. Discovery 3/Range Rover Sport Rear Parking Sensor .. Discovery 3/Range Rover Sport Rear Tailgate Subwoofer XQA500080Good used working conditionPlease che.. Discovery 3/Range Rover Sport Rear Tailgate Subwoo.. Discovery 3/Range Rover Sport Right Hand Drive Steering Wheel Under Cover Cream FBS500131XXXGood use.. Discovery 3/Range Rover Sport Right Hand Drive Ste.. Discovery 3/Range Rover Sport Tailgate Subwoofer XQA500120Good used working conditionPlease check cu.. Discovery 3/Range Rover Sport Tailgate Subwoofer X.. Discovery 3/Range Rover Sport Trailer Link Wiring Loom YMZ500800AGood used working conditionWill fit.. Discovery 3/Range Rover Sport Trailer Link Wiring .. Discovery 3/Range Rover Sport Transfer Box Module NNW504660Good used working conditionPlease check c.. Discovery 3/Range Rover Sport Transfer Box Module .. Discovery 3/Range Rover Sport Transfer Case Module 7H42-7H417-ACGood used working conditionPlease ch.. Discovery 3/Range Rover Sport Transfer Case Module.. Discovery 3/Range Rover Sport Wiper Stalk XPE500070PVJGood used working conditionPlease check curren.. Discovery 3/Range Rover Sport Wiper Stalk XPE50007.. Discovery 3/Range Rover Sport x2 Centre Console Cup Holder FWW500060XXXGood used conditionSome marks.. Discovery 3/Range Rover Sport x2 Centre Console Cu.. Discovery 4/Freelander 2/Range Rover Sport 7H5A-264143-AC Nearside Rear Door Lock MechanismGood used.. Discovery 4/Freelander 2/Range Rover Sport 7H5A-26.. Discovery 4/Freelander 2/Range Rover Sport Nearside/Passenger Side Front Door Lock Mechanism 6W8A-21.. Discovery 4/Freelander 2/Range Rover Sport Nearsid.. Discovery 4/Freelander 2/Range Rover Sport Offside/Drivers Side Front Door Lock Mechanism 6W8A-21812.. Discovery 4/Freelander 2/Range Rover Sport Offside.. Discovery 4/Freelander 2/Range Rover Sport Offside/Drivers Side Rear Door Lock Mechanism 7H5A-26412-.. Discovery 4/Range Rover Sport 05-13 Lear Keyless Entry ECU AH42-19H440-AFGood used working condition.. Discovery 4/Range Rover Sport 05-13 Lear Keyless E.. Discovery 4/Range Rover Sport 3.0 Air Intake Housing 4H2Q-6K770-BBGood used conditionPlease check cu.. Discovery 4/Range Rover Sport 3.0 Air Intake Housi.. Discovery 4/Range Rover Sport 3.0 Tdv6 ABS Pump BH42-2C405-AEGood used working conditionPlease check.. Discovery 4/Range Rover Sport 3.0 Tdv6 ABS Pump BH.. Discovery 4/Range Rover Sport 3.0 Tdv6 Air Suspension Reservoir Tank 5H22-5K936-ABGood used working .. Discovery 4/Range Rover Sport 3.0 Tdv6 Air Suspens.. Discovery 4/Range Rover Sport 3.0 Tdv6 Lower Sump 9H2Q-6675-BANo warranty on pumpsWill require repla.. Discovery 4/Range Rover Sport 3.0 Tdv6 Lower Sump .. Discovery 4/Range Rover Sport 3.0 Tdv6 Throttle Body And Valve 9X2Q-9L444-CAGood used working condit.. Discovery 4/Range Rover Sport 3.0 Tdv6 Throttle Bo.. Discovery 4/Range Rover Sport 3.0 Tdv6 Vacuum Pump 9H2Q-2A451-BDGood used working conditionPlease ch.. Discovery 4/Range Rover Sport 3.0 Tdv6 Vacuum Pump.. Discovery 4/Range Rover Sport CD Player BH22-18C815-ABRemoved from 2010 Discovery 4Please match curr.. Discovery 4/Range Rover Sport CD Player BH22-18C81.. Discovery 4/Range Rover Sport Central L:ocking BCU AH42-10F845-AAGood used working conditionPlease c.. Discovery 4/Range Rover Sport Central L:ocking BCU.. Discovery 4/Range Rover Sport Climate Control Panel AH22-19E900-DHGood used working conditionPlease .. Discovery 4/Range Rover Sport Climate Control Pane.. Discovery 4/Range Rover Sport Fuel Pump ECU 3W83-9D372-ABGood used working conditionPlease check cur.. Discovery 4/Range Rover Sport Fuel Pump ECU 3W83-9.. Discovery 4/Range Rover Sport Headlight Control Switch AH22-13A024-ABGood used working conditionPlea.. Discovery 4/Range Rover Sport Headlight Control Sw.. 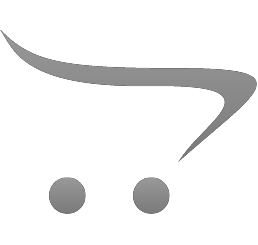 Discovery 4/Range Rover Sport Keyless Entry Antenna AH4N-15607-AEGood used working conditionPlease c.. Discovery 4/Range Rover Sport Keyless Entry Antenn.. Discovery 4/Range Rover Sport Passenger Side Dash Airbag PB85017070Good used working conditionNo dam.. Discovery 4/Range Rover Sport Passenger Side Dash .. Discovery 4/Range Rover Sport Satalite Navigation Screen BH22-10E887-BBGood used working conditionPl.. Discovery 4/Range Rover Sport Satalite Navigation ..